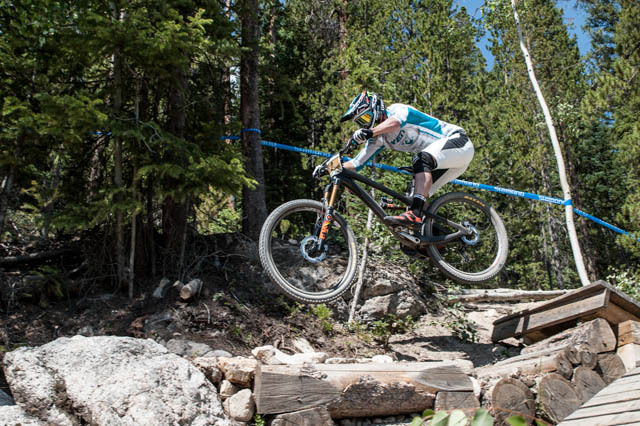 Yeti's Jared Graves, the current leader in the Enduro World Series, showed up for round number five in Winter Park, Colorado, with a bike that sports an inch more travel than his sponsor's recently released SB5c. Rumors had been flying around about a 6-inch version of the new Infinity Link design, and it seemed only natural that the longer travel version would continue with the same naming convention. When asked to confirm that the new bike will indeed be called the SB6c, Yeti president Chris Conroy responded in the affirmative and with a perfectly devilish grin. "Yes, that's the SB6c…assuming we bring it to market," he said. 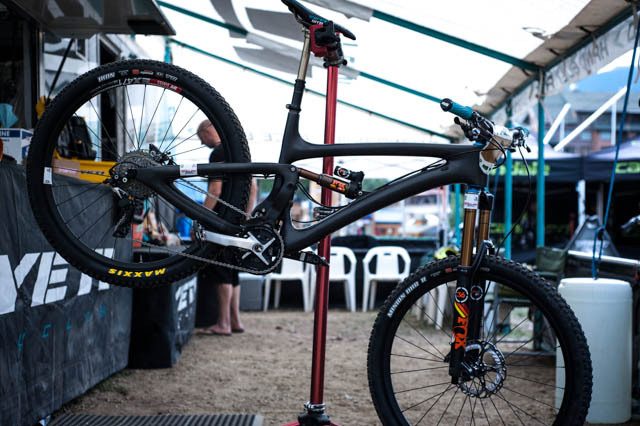 Of course Yeti is bringing the SB6c to market; Graves' Winter Park, race-ready prototype is way too dialed-in and pretty to be a proof-of-concept project, so our guess is that we might even see the new Yeti in shops at some point next year. Graves' SB6c boasts the same Infinity Link design that's at the heart of the new SB5c, but there seems to be some alternate engineering involved because Conroy says the Infinity Link on the 6-inch bike moves "differently" than its 5-inch sibling. 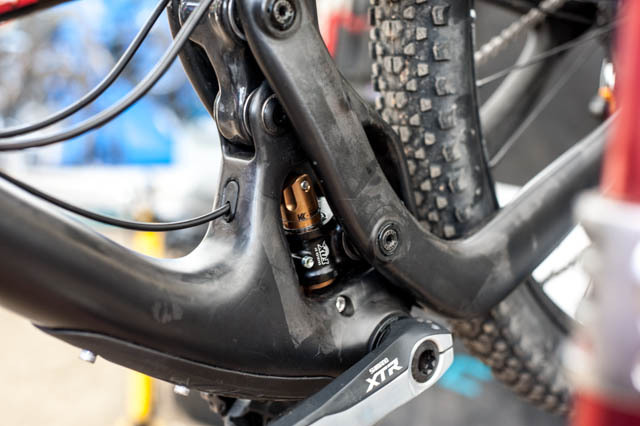 With an added inch of suspension travel comes a tweak to the bike's geometry. The head angle is definitely slacker than the SB5c's 67-degrees — we're guessing somewhere in the range of 65-66 degrees. Conroy wouldn't confirm, but said we're close. Graves' skill and fitness are unquestionable, but on a course that sees a fair number of North American-based riders opting for shorter travel, and the pedaling snappiness that smaller bike’s promise, Graves' SB6c prototype doesn't seem to be holding him back in the pedaling department. Sure, it's an enduro, and gravity oriented, but the Winter Park course still demands a healthy amount of leg power. As I write this at the end of day two, and with just two stages to go, Graves, after winning all three second-day stages, has a 17-second lead over teammate Richie Rude. I'd say the bike is ready for market. And the market is ready for this bike.